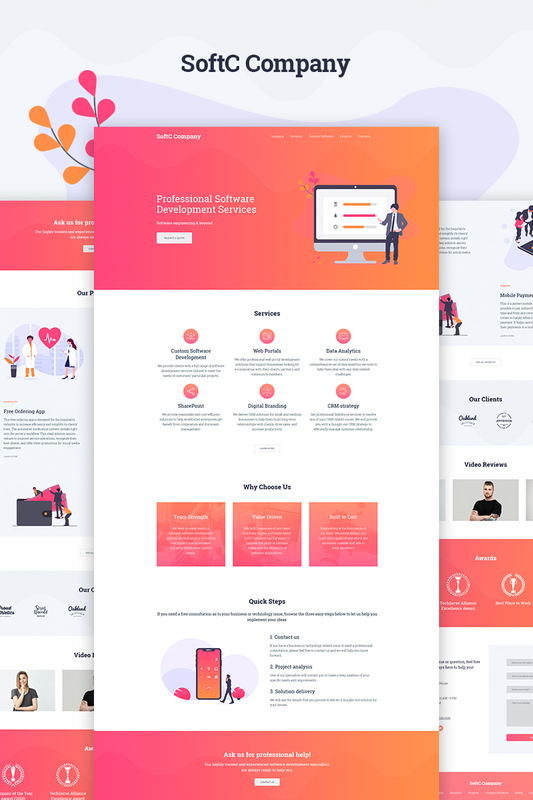 Weblium Software development website template is a simple and modern way to create a website: it will perfectly represent your company online! We've made deep research and prioritized 6 pages and 34 blocks that your website will need. You can add, change or remove the elements in one click. After that, just add your content and publish your website! On average, the whole process with Weblium takes an hour. You will get a site building technology that allows you to grow your online presence and build your perfect website without coding! Sign up and create a website for free! Take the advantage of great functionality of Weblium Editor to maintain your website. Create a website with Weblium, and AI Design Supervisor will guide all the way through website creation to ensure that your future website looks great whatever modifications you make on the template. Smart UI Kit lets you change the design schemes in a single click. More than that, Weblium guarantees that your website will load fast (scoring 90-100 in Google PageSpeed Insights) and will look great on all devices by default. Itâ€™s as easy as using a website builder, while the result is as powerful as if you were working with the top web-development studio experts!